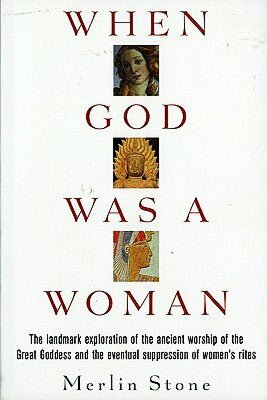 When God Was a Woman is the U.S. title of a 1976 book by sculptor and art historian Merlin Stone. It was published earlier in the UK as The Paradise Papers: The Suppression of Women’s Rites. It has been translated into French as Quand Dieu était femme (SCE-Services Complets d’Edition, Québec, Canada) in 1978 and into German as Als Gott eine Frau war in 1989.